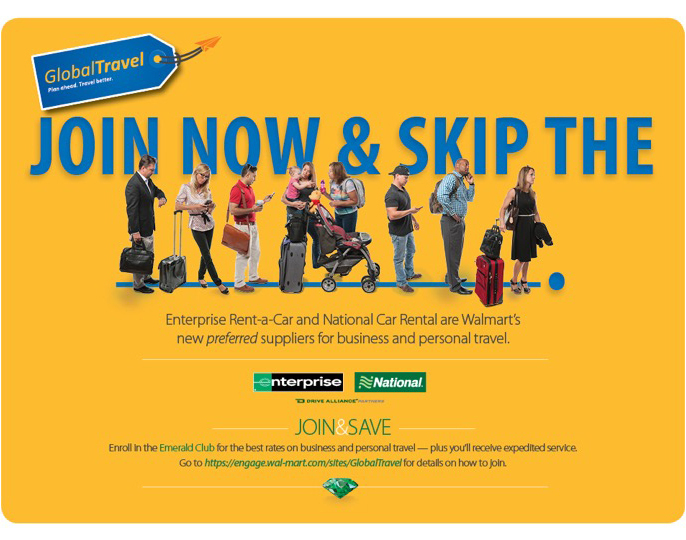 To get all associates to adopt a new travel program and to use preferred suppliers. The strategic plan divided associates into three audiences: those who arrange travel for others, frequent travelers and occasional travelers (those who book less than five times a year). Based on the needs of each audience, we developed key messages to help associates not just understand the new system, but to embrace it. Significant savings from associates booking their travel online — the online adoption rate grew to 87 percent for associates in 23 countries where the booking tool was available. The adoption rate of preferred suppliers reached 87 percent as well, reaching beyond the target of 80 percent. More Highbrow Creative and More Branding provided graphic design services. This project received an IABC Bronze Quill Award of Excellence.